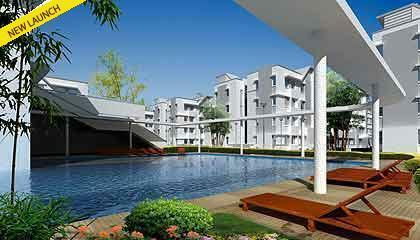 + Property in Chennai near Siruseri IT Park, close to Infosys, Wipro, TCS, etc. Cosmo City is Purvankara's first attempt to introduce budget housing in Chennai, under its subsidiary Provident Housing. Spread over 31 acres, Cosmo City offers 3 BHK apartments in G + 3 buildings. Though, the project falls under the affordable housing sector, the lifestyle amenities are at par with other high end properties in Chennai. An 11,500 sq ft clubhouse, separate gyms for men and women, indoor and outdoor games courts and a departmental store are the special attractions of the development. Only 30% of the total land is being used for construction with the rest devoted to landscaped gardens, driveways, walking and jogging tracks. Its favorable location at the heart of the IT hub near the Siruseri IT Park and several IT giants like Wipro, TCS, Infosys, will definitely prove beneficial for the residents in the long run.